A. I have a 12-year record of getting things done as a conservative Republican in a very diverse, Democrat-leaning Northern Virginia county. During my tenure as chairman of the Prince William County Board of Supervisors, we successfully cut taxes, improved services, built roads and cut violent crime by nearly half. Our county earned a rare triple-AAA bond rating, and we now lead Virginia in job growth. I am running to bring this results-oriented mindset to the U.S. Senate. Q. How do you plan to work with other Congressional leaders who may sit on the opposite side of the aisle than you? A. 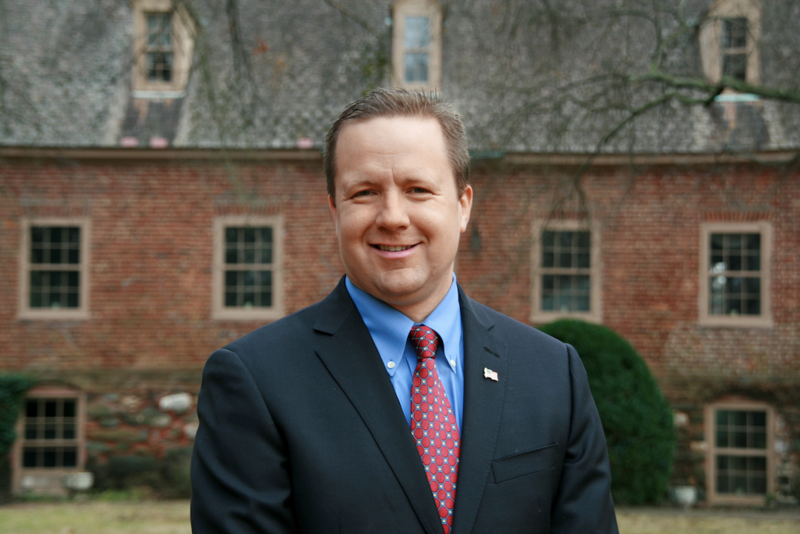 In Prince William County, I have worked with my fellow Republicans and with Democrats to solve problems. I am ready and willing to do the same in the U.S. Senate. Criminal justice reform is just one issue where I believe many Republicans and Democrats can find common ground. A. College students naturally want to find good jobs after graduation. In the U.S. Senate, I will focus on making last year’s tax cuts permanent, to ensure that our economy continues to thrive. In addition, I will strive to uphold and defend the traditional American values for which Liberty University is widely known. A. I am a Christian who believes in God and prays for his guidance daily. I firmly believe that every life has a purpose; and that every man, woman and child is endowed by their Creator with inalienable rights. The base nature of man, however, often seeks to control others, violate their God-given rights, and steal the fruits of their labor. For this reason, our Founders wisely entrusted only limited, narrowly-defined authority to the federal government. I believe that we have strayed too far from our founders’ original vision of liberty under the rule of law. A. Abolishing ICE – as many Democrats want to do – would be absolutely detrimental to the safety and welfare of Virginians. In Fairfax County, which is effectively a sanctuary jurisdiction, there are now more MS-13 gang members than police officers. In Prince William County, by contrast, we have partnered with ICE to remove more than 8,300 criminal aliens from our streets. In the U.S. Senate, I will stand with ICE, and I will push for a crackdown on criminal aliens nationwide. A. I support the Higher Education Reform and Opportunity Act, which aims to consolidate and streamline our nation’s current student loan programs. Perhaps more importantly, the HERO Act would reform the accreditation system. States could develop their own standards, or even partner with employers, to ensure that students are ready to land good jobs after graduation. A. I proudly support President Donald Trump, and I expect to have a very productive relationship with the administration. In the U.S. Senate, I will consistently vote to advance the President’s America First agenda. On those rare instances when I differ with the president, I will always do (so) respectfully, and with the best interests of Virginians at heart.